All of our leak detection team of engineers is skilled in using a variety of modern leak detection techniques. When ADI are on site and dealing with your leak problems then you can be assured that we will only fix the leak, and will not damage your property! Wherever you happen to reside in the UK, ADI are sure to have a local team of people in place to help with all of your leak detection requirements. 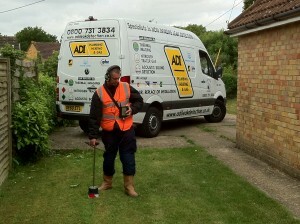 ADI are the premier UK leak detection specialists in the area of Arundel. Call us now on 08007313843 ! 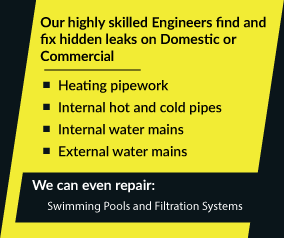 We could have an engineer on site, fixing your leak problem within hours.